Daniel Johnston is a towering figure in popular culture, but the American songwriter's presence is far from ubiquitous, instead seeping through intermittently in select, highly potent shards over the past two decades. Kurt Cobain was famously photographed wearing a t-shirt featuring the cover of one his early records, Brand New's universally lauded magnum opus The Devil And God Are Raging Inside Me took its title from a conversation lead singer Jesse Lacey had with a friend about Johnston, and 2006's award winning documentary The Devil And Daniel Johnston brought the iconic musician to his widest audience to date. Johnston has released over a dozen full-lengths of original material, been covered by artists as diverse and renowned as The Flaming Lips, Tom Waits and Teenage Fanclub, and had his artwork exhibited in London and New York galleries: a staggering list of achievements for a man plagued by with mental illness for much of his life. 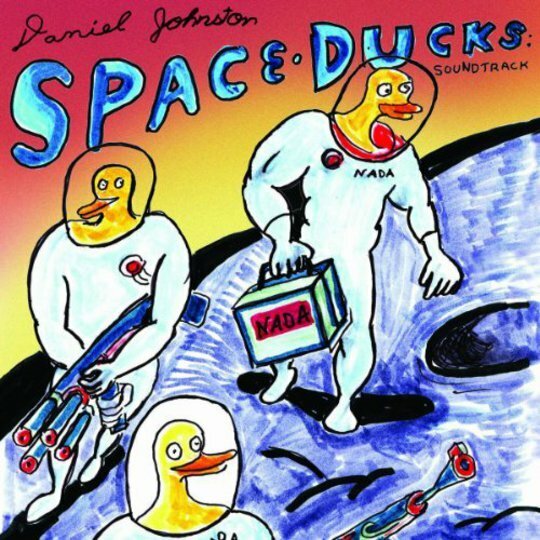 Last year Johnston finally realised a childhood dream, publishing Space Ducks - An Infinite Comic Book Of Musical Greatness (of which Space Ducks is the soundtrack). 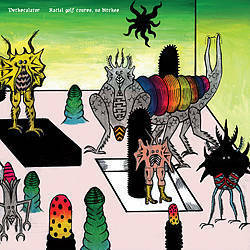 The comic is idiosyncratic, unique and tells the story of the intergalactic Nada Ducks who must pinpoint Satan's demonic home-world and rescue their hostage girlfriends. The illustrations are child-like, possess a charming off-kilter perspective and showcase Johnston's deadpan sense of humour: one frame eerily echoing Abu Ghraib as the space ducks gleefully pose with the bodies of their vanquished enemies. The actual album, a combination of Johnston's own material and seven distinctive contributors, is a triumph. 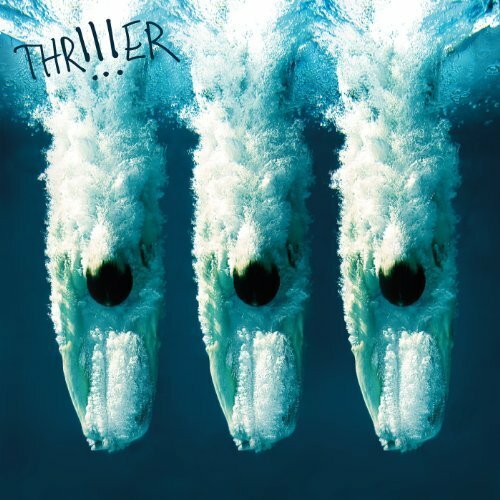 Unlike some previous LPs that laboured under a singularity of tone and content, Space Ducks is multi-dimensional - every artist justifying their inclusion here - and it flows effortlessly from beginning to end. The title-track is a wonky, folk-pop stomp, Johnston succinctly detailing the comic plot - "Space ducks fighting all the evil/ All the creepy people in a war in outer space," but the remaining 13 songs float free of the comic's narrative. 'Wanting You' and 'Mask' revisit Johnston's age old muse - romantic/unrequited love - and 'Sense Of Humor' is a ghostly Lennonesque shuffle. One of the best songs he's written, its chorus is subtly accented with strings as Johnston croons "Hold on mama, crying to yourself/ Tomorrow's already gone, you know you need some help." Three outside contributions stand out. Jake Bugg's 'Man On The Moon' is simple and haunting - a welcome divergence from his contrived, seen-it-all persona and tales of council-estate ennui; 'Moment of Laughter' by Lavender Diamond is a tender, bones-bare ballad and 'Evil Magic' by Fruit Bats blushes with delicate psychedelica. The soundtrack and the comic are sold separately - and only loosely linked - but both stand testament to Johnston's distinctive and extraordinary talent. Space Ducks is a must have for fans, and a superb introduction for those unfamiliar with his work.